I present to you the first of… Scripture Swatches! My hope is that they nourish your soul as they inspire your coloring and crafts. Thanks to all who participated in the May Celebration Sale and Giveaway! You’ve helped make my birthday month extra special, and I especially enjoyed seeing all your coloring of ﻿the “A Virtuous Woman” page﻿ that was offered free during May. 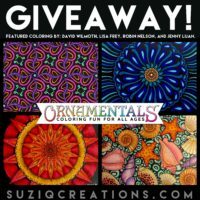 I am happy to announce that Lori Petkovic was our randomly chosen winner and the tote bag is currently on its way to her as I type this. For this week’s colorists spotlight series I’m introducing Cindy Nation from Australia and her impressive coloring skills! Read on to learn more about Cindy and how experimentation through coloring gives her a sense of accomplishment. Many colorists use markers in their art work either exclusively or combined with an arsenal of pencils and gel pens. 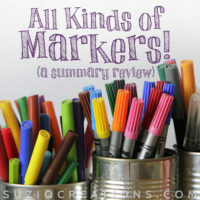 David, an experienced coloring enthusiast, shares some of his thoughts and findings with the marker sets he owns and uses. 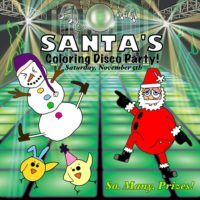 Learn about Santa’s Coloring Disco Party and the Color My Treats giveaway. Save the date Nov. 5 for another coloring party sponsored by Color On! Magazine. To celebrate the launch, I’m giving away 5 copies of my new book, OrnaMENTALs Lights Out. Here are all the ways you can win. 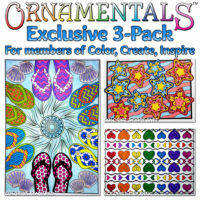 Printing coloring pages yourself does not need to cost a fortune. 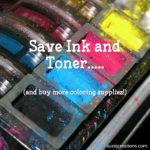 Check out these tips and tricks for saving ink when printing black background or regular coloring pages. 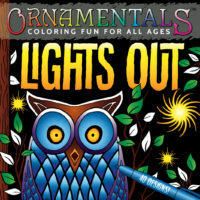 OrnaMENTALs Lights Out, the all-ages coloring book from Sue Chastain, features 40 lighthearted designs to color with dramatic black background accents. Available now in two sizes! I can never seem to do these color schemes as often as I’d like so I will start doing collections of six color palettes instead of four when I post new ones. For this set, I’ve got an eye toward autumn. 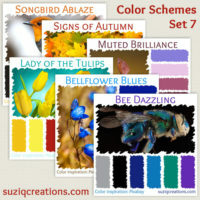 You can never go wrong when you look to nature for color inspiration. 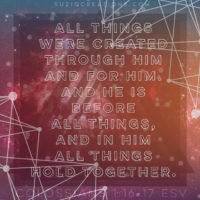 God is the original artist, after all. 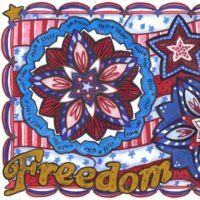 There are tons of sources for finding inexpensive coloring books and pages, as well as free images for coloring, if you know where to look. The hobby of adult coloring doesn’t have to cost an arm and a leg and you can still get good quality material. 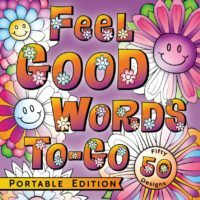 The full-size OrnaMENTALs Feel Good Words coloring book has been so well received that I was inspired to make a portable edition of Feel Good Words… To-Go. 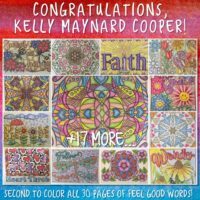 This portable edition has been expanded with 20 new illustrations in addition to the original 30, giving you 50 fun designs paired with positive, uplifting words for your coloring enjoyment. Now you can take your feel good words everywhere you go! You can now purchase high-quality greeting cards with OrnaMENTALs Feel Good Words designs! The cards are flat (not folded) with several card stock options. 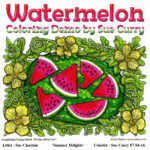 Buying coloring books as digital files gives you a lot of options you don’t get with pre-printed books, but printing a lot of coloring pages can be costly using a home ink jet printer. In this article, Stephanie goes on assignment and reports her results on getting her coloring book printed at a local copy shop. 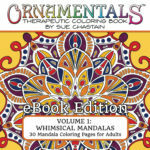 Meet coloring enthusiast Deb Rucinski. 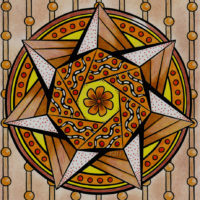 Deb discusses how she got into adult coloring and shares tons of tips and advice for coloring. 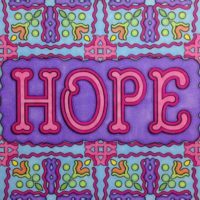 Meet Barbara Barnes, who’s been an adult coloring enthusiast for more than 20 years. I wasn’t going to start a Facebook group. 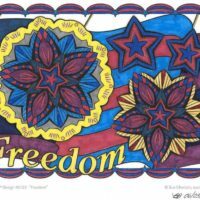 There are already so many great coloring groups on Facebook. Do we really need another one? But then I got the idea to team up with a few other coloring book artists in the same inspirational coloring books genre with me. Come on over and join us at Color, Create, Inspire! We are having a great time already! 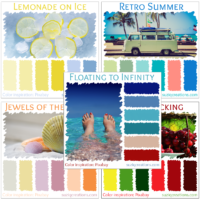 Endless Summer includes five summer inspired color schemes: Retro Summer, Floating to Infinity, Jewels of the Shore, Lemonade on Ice, and Cherry Picking. 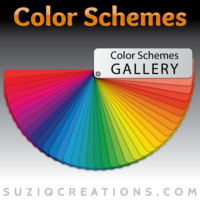 Browse all the color schemes on this site in a gallery slide show. For this week’s colorists spotlight series I’m introducing Stephanie Walker. Not only is she a marker maven, she is also the new guest columnist for this site.